Performs functions that are directly and indirectly related to the care of the nursery pig. Performs basic site requirements such as housekeeping, feed ordering, sanitation and load in/out are components required of the Wean to Finish Herdsperson. Will also be a resource to the Early Pig Care Specialist when required as pig care is the primary responsibility for the Wean to Finish staff. 1. Assist in maintaining herd health by observing pigs on a daily basis and using appropriate treatments as needed. 2. 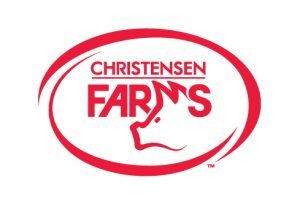 Assist Early Pig Care Specialist with required duties primary to pig care. 3. Conduct daily room assessments and report to pod lead. 4. Assist in feeding, shipping & receiving of pigs, sorting by size, vaccinating and tattooing. 5. Uphold Biosecurity standards and maintain safety standards. 6. Properly documenting all transactions on door cards. 7. Light maintenance, site sanitation, laundry and office care. 8. May need to assist at other Wean to Finish sites.